In Colorado, first aid classes from the American Red Cross take just a few short hours to complete, but can help you provide the right level of care during times of crisis. After successfully completing your in-person or blended Simulation Learning course, you'll receive full, OSHA-compliant certification that's valid for two years. During this time, you'll have access to a wide range of refresher materials that can help you keep your skills sharp and ready for anything. Created specifically for those who learn best in a traditional classroom setting, our in-person first aid training in Colorado gives you the opportunity to learn from knowledgeable instructors who can answer your questions and help you understand how and when to provide care. Courses include lecture and hands-on skills sessions, as well as plenty of time to ask questions and become comfortable with the techniques before testing for your certificate. Simulation Learning courses combine self-paced, interactive learning with in-person skill sessions. 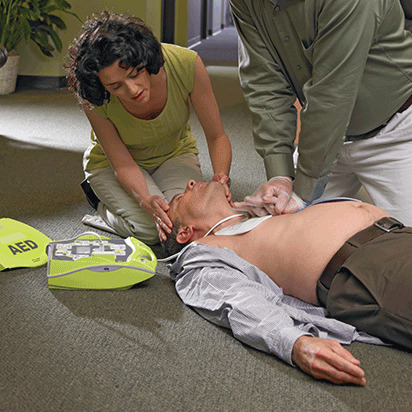 This way, you can complete all of your required coursework on your schedule, then demonstrate your skills to a certified instructor during one of the Colorado first aid training classes near you. Once both segments of the class have been successfully completed, you'll receive full certification that's valid for two years. In Colorado, first aid training for adults focuses on how you can best provide care to the adults, including teens, in your life. From cuts and burns to falls, broken bones and a myriad of other injuries, our courses cover it all so that you can gain the confidence, and skills, needed to help during times of crisis. Because children and babies have more delicate bodies and require specialized care, we offer first aid classes in Colorado that focus specifically on providing care to the youngest among us. With detailed instruction on caring for conscious and unconscious children, and information on helping kids who have been injured in a variety of ways, we can give you the skills and confidence needed to provide care until trained medical professionals arrive. Even after taking one of our first aid classes in Colorado, it's easy to lose your skills if they're not practiced regularly. In order to help keep the information you've learned fresh in your mind, we've created a simple step-by-step guide that you can print up and place on your refrigerator, in your car, in your bag or at your desk and review at any time. The American Red Cross not only delivers first aid training in Colorado, but we also provide training to individuals and organizations in every state and more than 180 countries around the world. The training materials for our classes are developed experts in the field and are based on the latest and best in emergency science. In addition, all course materials and protocols are reviewed by the Red Cross Scientific Advisory Council and are updated as new, proven information becomes available.